Teaching English online is a fantastic way to make a comfortable income at home while creating your own schedule. Even better, you're your own boss. What if I have no experience teaching English online? Many companies do not require you to have taught English before. Before getting accepted to an online teaching job, you'll be required to go through a mock teaching class. This is where you can really shine and show off your skills. Magic Ears is a company based in Beijing, China, that hires English speakers from America and Europe to teach children 5-12 years old in China. The company is highly rated on GlassDoor and even has their very own Facebook group for teachers to support each other and even meet in person. How much do Magic Ears teachers get paid? What are the requirements to become a Magic Ears teacher? 6. Sign Contract and become a Magic Ears teacher! Magic Ears requires a 6-month contract. You'll be required to teach a lesson based on the teaching material Magic Ears sends you beforehand. Each class is 30 minutes, with 25 minutes of active teaching and 5 minutes of evaluating the students. Are you ready to apply? Get started now and join this thriving community! You can apply to learn more about Qkids here or apply now! 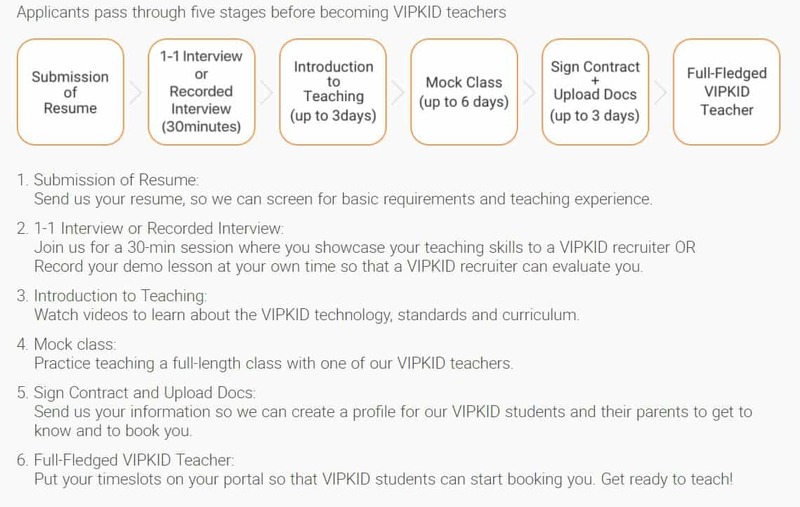 Here's a great video from a current online English teacher that will help you land a job, particularly with VIPKID. 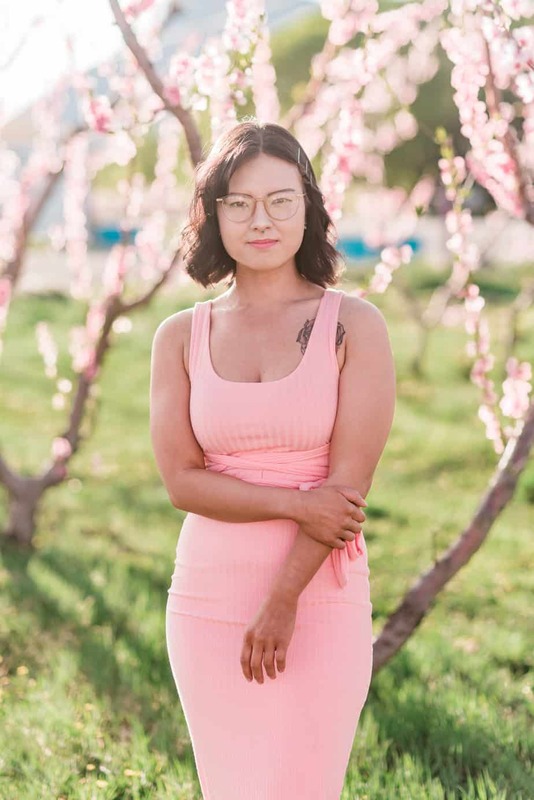 “VIPKID is an amazing opportunity for teachers who, like myself, had to take a hiatus for whatever reason, or even for those teachers that want a little extra income on the side.” Donna D.
VIPKID has a teacher retention rate of 95% AND a student retention rate of 95%. One teacher made over $75,000 in 2016 from VIPKID. VIPKID is known for having the best students. Last July, the highest paying teacher made $9,000 (yes, in 1 month). VIPKID has also informed me that they're definitely in need of English teachers as their registered users have surpassed the 500,000 mark (omg! ), with close to 100,000 paying students. P.S. Twice a year, VIPKID teachers get a chance to win a trip to the Headquarters in Beijing. Minimum 1 year of traditional teaching experience OR the equivalent in Mentoring, Tutoring, Alternative education, Coaching, Supervising, Pastors, Church Leaders, Nursery School Assistants, etc. Teachers are paid according to the number of classes finished. Pay starts at US $14-$18 an hour. However, there are incentives for each and every lesson, which means a typical service fee ranges from US $14-$22 an hour. Paid between 10th and 15th of each month. Teachers will be evaluated for a raise at the renewal point. After registering and applying here, prospective VIPKid teachers in major cities across the US may participate in an exclusive coaching day led by top VIPKid mentors. Company Overview: Learn more about this fast-growing company and how we are making a global impact. VIPKID has over 15,000 teachers in our community and you will see first hand what its like to be a VIPKID teacher. Skill-Based Practice: Get hands-on practice with key skills for teaching ESL online. This includes Total Physical Response, Energy, Phonics, Student Output, and Appropriate Language. We will also practice pacing, & reward systems. Demo Lesson: Get individualized attention from VIPKID teachers and practice with your Demo Lesson. Record a 10 min demo using our teaching platform and curriculum. Do I need to create my own curriculum? Interested in other real work from home careers? Check out this great list. Do you want to teach English online? Good to know! Will update.